Harry Doubt could not avoid the Press this week. Questions he answered on a flight back from Asia ended up on Laurie’s Paranormal Blog. The Truth Seekers were concerned that he may have revealed top secret covert missions that could jeopardize their missions. Here is an excerpt of the interview. Bio: Former child prodigy, Tech geek, creator of the online game Truth Seekers and leader of a group of online gamers who are in search of their missing loved ones. I dream of travelling to the future to find out what is in store for mankind. You may know of the late Professor Aaron Doub, famous quantum physicist. He was my father, although he really wasn’t a father to me. The only thing I learned from him was that there is proof that we can travel to the future. I always believed that my father didn’t die but travelled to the future as he always dreamed of doing. What group did you hang out with in University? I was 15 when my friend Cristal Hernandez and I started attending Global Nation University of New York. It was hard to find things in common with students who were much older than us. Cristal and I usually hung out with profs, Truth Seekers’ gamers, techies, and geeks. Most of the time, we hung out in virtual hangouts, or in the Truth Seekers online game. Unwind, relax… cannot process those words. Not sure what they mean. Winner(s) will be contacted if they win. They have 3 days (72 hours) to claim their prize. If the prize is not claimed within the time frame of 72 hours, a new winner will be chosen. The new winner will have 3 days (72 hours) from the time of notification to claim their prize. 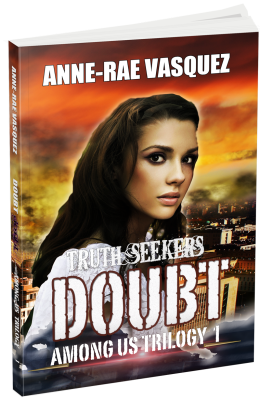 Doubt book launch team reserves the right to end a giveaway early without notice or prolong if it is deemed necessary. Doubt book launch team reserves the right to disqualify an entry. Doubt book launch team is not responsible for lost or damaged items. 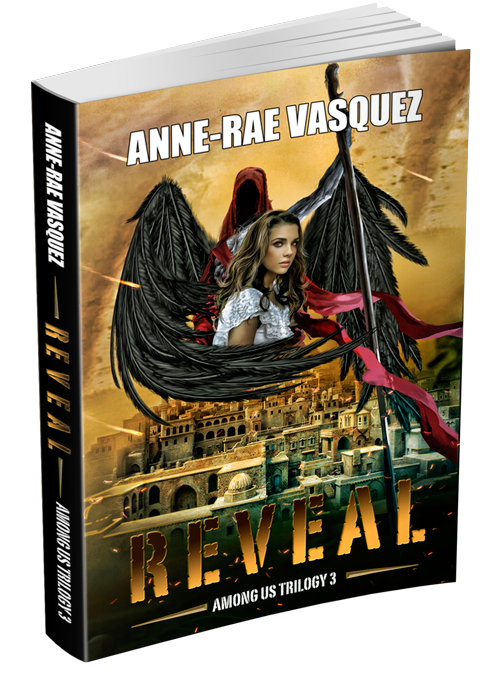 Among Us Trilogy, angels, anne-rae vasquez, apocalypse, demons, Doubt, free book, Harry Doubt interview, press release doubt, teen fiction, young adult. Bookmark.